Oh no! Somehow, your sprinkler system sprung a leak and there’s a massive amount of water spilling all over your lawn, garden and driveway. How do you make it stop before calling us to make your repair appointment? If your lawn sprinkler system has a leak, turning the controller off won’t stop the water. You’ll have to pull the lever at either the backflow device or the main water shut-off. Your backflow device is usually located outside or in your basement. It’s a distinctive-looking piece of equipment, and you should identify where yours is located before you experience a sprinkler emergency. 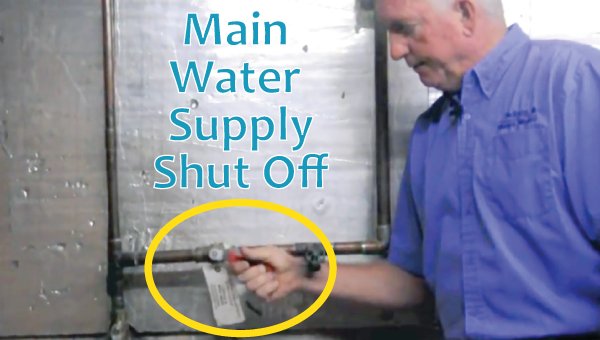 Shutting off the water supply to the backflow device is easy. There are two valves on your backflow device. Turning either one of them will stop the water flow. It’s a simple quarter-turn, to the up position. This will make the handle perpendicular to the pipe. 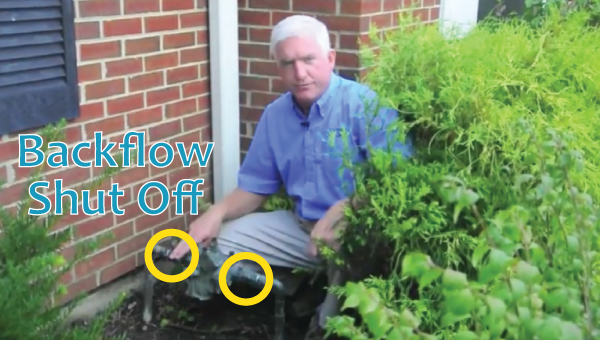 If your backflow device itself is leaking, or if you can’t get to it, there’s another option for shutting down the water to your sprinkler system. It’s found at the main water supply that comes into your house from the street, often in your basement or garage. Again, you will find two levers. One lever turns off the water to your entire house, while the other lever turns off the water just to your sprinkler system. If you’re a TriState Water Works customer, we will have placed a hang tag on the correct lever to turn. Turn the sprinkler system shut off lever to the perpendicular (or “up and down”) position, and the water will be cut off to your sprinklers. Once your lawn sprinkler system has been turned off, give us a call! We will get right out to identify the leak and repair your system. If worrying about spotting a leak, turning off your water supply and making a repair appointment doesn’t appeal to you, our ‘No Worries’ Sprinkler Management Program will make your life easier. With remote monitoring, our system alerts technicians around the clock if your sprinkler system malfunctions. We can shut off the water remotely and come by to fix the problem.